The quiz contestant who caused a stir on Ryan Tubridy's RTE Radio 1 show on Tuesday morning says he simply froze live on air. Thomas, from Palmerstown, had the nation in stitches with his hilarious (mostly wrong) answers to simple Christmas-themed questions. 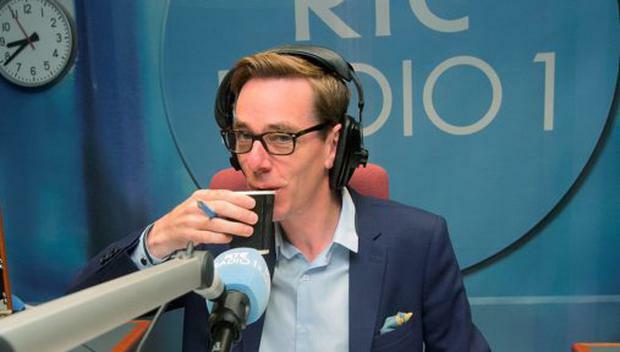 On Friday morning he returned to the airwaves to chat to Tubridy about what went wrong and the huge reaction to his performance in the quiz on social media and in real life. "Well when I want into the pub I seen that song, is it from yer man Julia Weatherglaze, Felice Navidad?" he asked the radio presenter. "Felice Navidad, yeah, Julia Weathergrave... you mean José Feliciano?" ventured Tubridy. Thomas revealed that his friends in the pub were all singing the Spanish Christmas song to him when he arrived, saying, "You won't forget that one again, will ya?". Thomas, who sells flowers outside Palmerstown Cemetery, revealed that he had been approached by people this week telling him he was "hilarious" on the radio. One of his friends told him about our article on Independent.ie and that people were talking about him on Twitter. "He said, 'Ill read out some of the comments. I said, 'No don't, they'd put me in bad humour'. They were all good. One women said she pulled the car into the side of the road because the tears were rolling down her face," he said. "One fella said I should be reported to the NSA road thing because I was driving so I got my mate to retweet his tweet to the place - Specsavers, because they do hearing aids - because I clearly stated on the programme that I was using hands free. "But it could have been worse, he could have reported me to the Department of Education." Tubridy asked Thomas if he simply froze live on air and he replied, "I was definitely frozen. See, the first question knocked the stuffing out of me and I knew then." He added, "I know in fairness you were going to help people out. I didn't think I'd need as much help as I did. Tubridy said he "needed a lie down" after the quiz. "I'll never live it down," said Thomas. Tubridy asked Thomas what he was going to do with the €300 worth of Charlotte Tilbury make-up he won from Arnotts, with Tubridy's considerable help, in the quiz. "That's caused more problems. They're coming out of the woodwork," he said. "I've nieces, 'I want this, I want that'. It's getting divided by three people." Thomas added that he watched a Charlotte Tilbury video online in which she was applying make up and said, "It took her that long to do a bird's face you'd have a night of drinking done." He joked, "You'd need three bathrooms now. I didn't know women spent that much money on make-up."